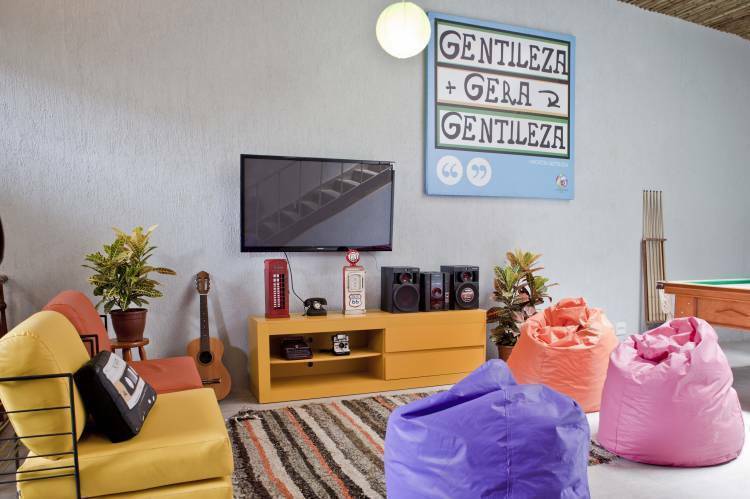 Lapa Astral is located in a typical townhouse in the cultural hub of the city. It was totally restored to host travelers interested in having a good time and meeting new and interesting people. It’s a nice, cozy, clean and safe place, in the heart of Lapa, the most bohemian neighborhood in Rio, just a few meters from the famous Selaron stairway. We thought about every single detail, so the original architectural aspect was preserved, putting at the same time our modern touch on the decoration at common areas. Because we love having fun with our guests, we opened Bar 123 to create a great atmosphere for you to mingle and meet people, the perfect warm up before going out. 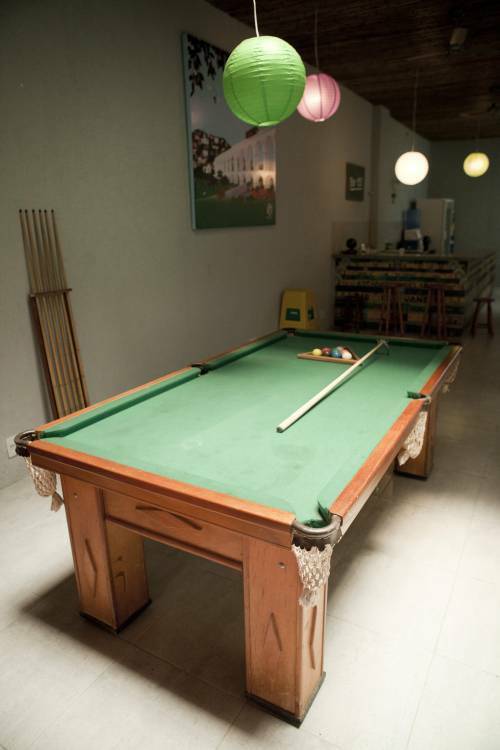 Here you’ll enjoy good music, join our pub crawls, play pool and chat with other travelers and even locals. And, of course, party with us on our weekly events and taste the drinks of our talented barman. Caipirinha is not only a local tradition. It’s our specialty! Our staff is ready to host you here, so welcome to Rio de Janeiro. This hostel was specially made for you. Feel at home and enjoy making new friends. Live this experience! Lapa Astral has 46 beds with individual lockers divided in shared dorms. On the ground floor, there’s the Terra dorm with 4 beds. On the second floor, there are the Sol and Lua dorms, shared and mixed, with capacity for 16 and 14 guests, respectively. And there’s also the Vênus female dorm and Marte shared dorm, with 6 beds each. All dorms have fans and air-conditioning (from 10pm to 10am). There are separate toilets and showers for men and women, all of them with hot water. Lapa’s nightlife and cultural scene are famous worldwide. 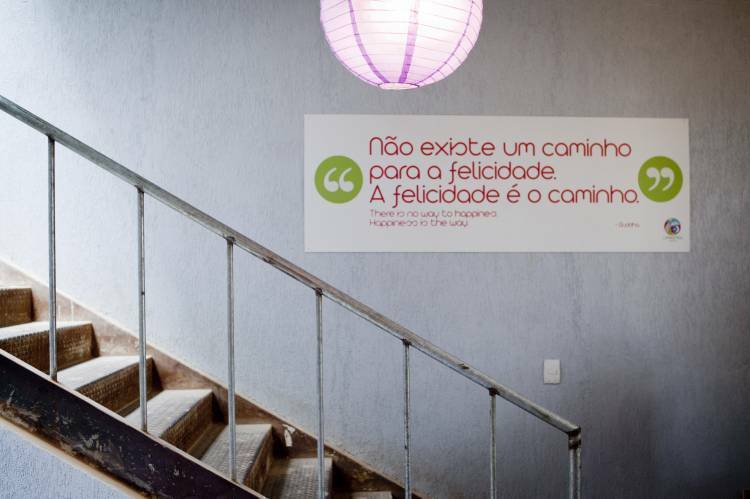 Situated a few meters from the Selaron stairway and near the historical neighborhood of Santa Teresa, our guests can easily reach the best attractions in Lapa within a five minute walk, including the Arches, Circo Voador and Fundição Progresso. In addition, of course, to an array of other cool places in the same area, like bars, restaurants and museums. And whenever you need to reach other areas of the city, such as the beaches, from here you have easy access to public transportation: metro, bus and taxis. We are about 20 minutes far from Copacabana beach, Christ the Redeemer and the Sugar Loaf. 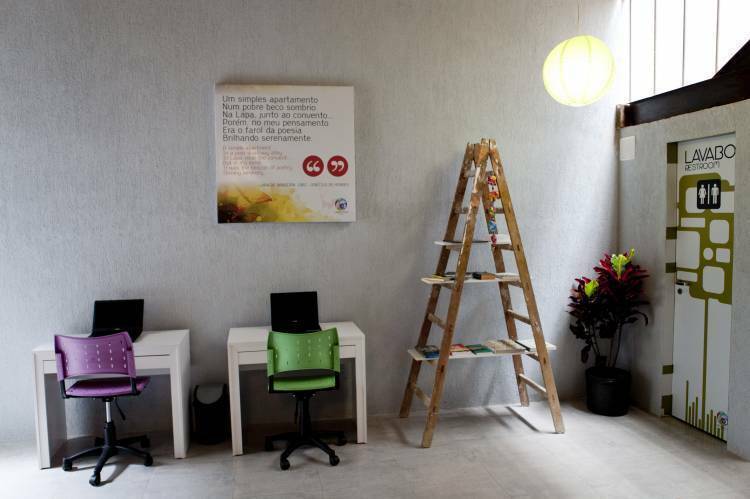 We are located at Rua Joaquim Silva, 123 - Lapa. Especially for the World Cup 2014, the reservation will be charged 100% in advance. 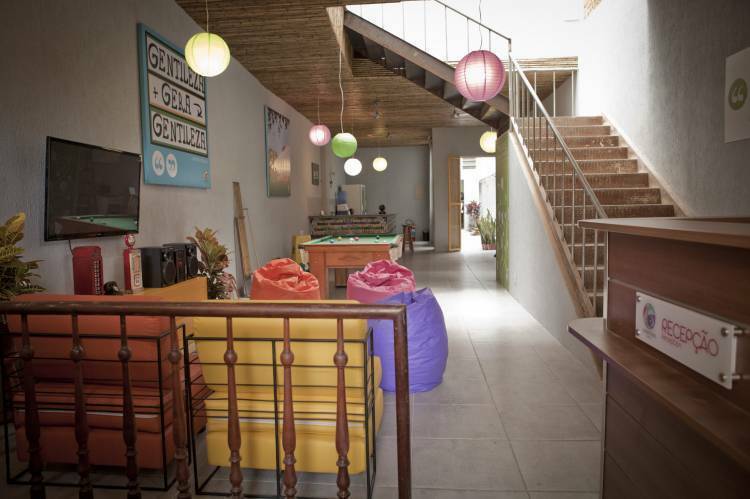 The Hostel will contact you by email to request the deposit by Paypal. 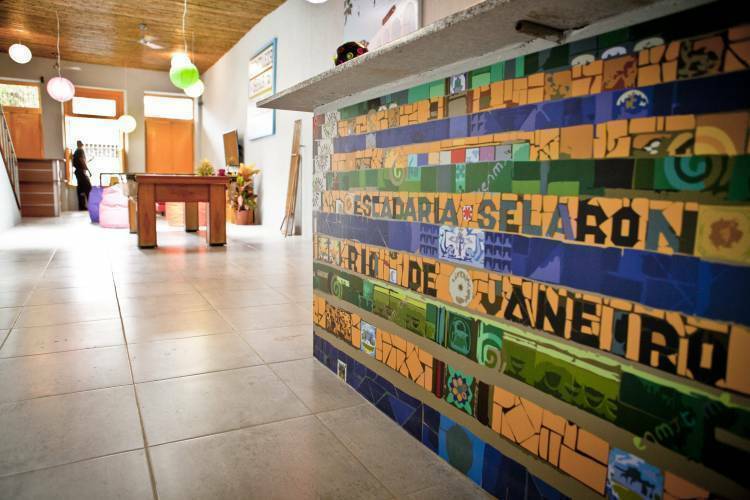 Situated a few meters from the Selaron stairway and near the historical neighborhood of Santa Teresa, our guests can easily reach the best attractions in Lapa within a five minute walk, including the Arches, Circo Voador and Fundição Progresso. In addition, of course, to an array of other cool places in the same area, like bars, restaurants and museums.